The Best Golf Podcasts from thousands of Golf Podcasts on the web using search and social metrics. Subscribe to these audio podcasts because they are actively working to educate, inspire, and empower their readers with frequent updates and high-quality episodes. Golf Podcast newsletter is a comprehensive summary of the day's most important audio podcasts episodes from the best podcasters on the web, and delivered to your email inbox each morning. To subscribe, simply provide us with your email address. Neptune Beach, FL About Podcast No Laying Up Podcasts talks everything and anything about golf game from expert golfers. About Podcast Golficity Podcast is a home for, weekly fantasy golf predictions, and the best golf news and instruction anywhere. Changing the game of golf in the modern era. Facebook fans 56,858. Twitter followers 5,785. Panama City Beach, FL About Podcast Every week Ted J. Odorico talk golf with some of the best Teachers, Clubmakers and Golf Industry types from around the world. Facebook fans 541. Twitter followers 999. Australia About Podcast The iSeekGolf podcast is a weekly audio show which offers coverage and opinion on all aspects of the game with interesting insights, interviews and guests. Facebook fans 44,437. Twitter followers 1,627. About Podcast The ModGolf Podcast talks with golf's top influencers, entrepreneurs, innovators and disruptors about their vision and solutions to re-imagine, transform and grow the game. Facebook fans 90. Twitter followers 306. About Podcast GOLF SMARTER podcast provides course management strategy, tips, drills, advice, and insights from PGA Professionals. An audio podcast that's guaranteed to make you a better golfer. Facebook fans 441. Twitter followers 673. About Podcast Documenting what's really going on in the world of golf science and golf biomechanics. Facebook fans 5,635. Twitter followers 11,061. San Clemente, CA About Podcast The Golfer's Journal Podcast talks about Golf in its purest form. Facebook fans 1,844. Twitter followers 6,844. About Podcast Sean Zak and Alan Shipnuck get you up close and personal with some of professional golf's top players, personalities and commentators. We share the best and latest golf stories, from the PGA Tour to your backyard. San Diego, CA About Podcast No Gimmes focuses on providing an outlet for people who love golf to share their experiences in the game. Through varied discussions with professionals, No Gimmes searches for nuggets of information you can take with you to your golf game or practice session to help you become the best player you can be. Facebook fans 31. Twitter followers 106. About Podcast The 19th Hole Golf Show is a golf podcast featuring in-depth, intelligent discussion of the most important topics in golf. Host Ryan Ballengee from Golf News Net talks about recent events and issues on the PGA Tour, European Tour, LPGA Tour and other major golf tournaments around the world. He digs in on golf course architecture, fantasy golf, golf travel and the issues facing the business of the game. Ryan covers a little bit of everything in golf, and he's joined occasionally by some of the biggest names in the game to provide perspective. About Podcast Longtime podcast personality Joe House and veteran golf correspondent Geoff Shackelford break down the biggest golf stories, interview some of the biggest personalities in the game, and even help you allocate some capital. Step inside the ShackHouse! About Podcast A golf podcast from various golf experts. Facebook fans 124,607. Twitter followers 660,504. About Podcast Former European Tour professional Robert Lee hosts a weekly golf podcast with unparalleled access to the top players. The Race to Dubai Show features exclusive interviews with star names, incisive analysis of the latest action, all the key news and a light-hearted look at life on tour. Robert and fellow former pros will guide you through the season from start to finish, and test their predictive skills by trying to pick the winner of each European Tour event! Louisville, KY About Podcast Take one of the countrys top golf instructors and pair him with an outstanding radio personality and you have the formula for one helluva Golf Talk Radio Show. Facebook fans 775. Twitter followers 330. About Podcast The PluggedInGolf Podcast is where the most knowledgeable, interesting people in golf come to share their stories and help you play better golf. Facebook fans 740. Twitter followers 11,325. About Podcast Master your golf swing with online coaching from PGA pros Piers Ward & Andy Proudman, and get access to 100s of golf instructions and free golf tips. Facebook fans 154,429. Twitter followers n/a. Australia About Podcast The Inside Golf Podcast explores all good things golf, with regular special guests and exclusive content. Facebook fans 20,133. Twitter followers 2,051. Oak Ridge, TN About Podcast Listen to this podcast where Tony Wright help golfers to Shoot Lower Scores and Achieve Their Golfing Dreams through true custom club fitting and putting improvement coaching. Facebook fans 245. Twitter followers 870. Boynton Beach, FL About Podcast The Back of the Range Golf Podcast, hosted by Ben Adelberg, is a weekly interview-driven podcast focusing on the game of golf. Prominent amateurs and professionals, coaches, and personalities from the game share their stories each and every week. Sometimes, the best stories in golf aren't found on tour. You'll find them at The Back of the Range. Facebook fans 150. Twitter followers 140. About Podcast Fore Golfers Network is your home for all things golf! Check out our podcast for golf travel stories, golf equipment reviews, golf event coverage and more. Facebook fans 107. Twitter followers 490. Chicago & Los Angeles About Podcast A hilariously absurd, golf comedy podcast about the PGA Tour and continually "Sending people off the rails." Hop on the Par Train Golf Podcast, crack open a beer and get ready to laugh at the loudest takes on tour. CONGRATULATIONS to every podcast that has made this Top Golf Podcasts list! 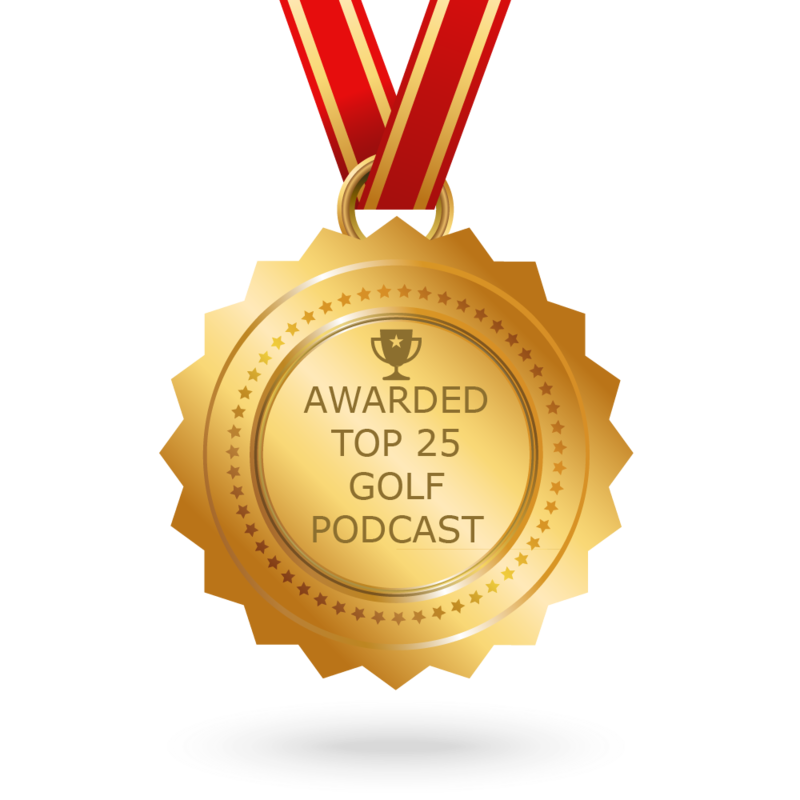 This is the most comprehensive list of best Golf Podcasts on the internet and I’m honoured to have you as part of this! I personally give you a high-five and want to thank you for your contribution to this world.